Thinking about changing dog food brands or types because it is less expensive? Or maybe your dog has been sick to his stomach and you want to try out a new food. It may even be that your vet thinks your dog is allergic to lamb. Whatever the reason for the change in dog food, you must take it very slow to allow your pup’s tummy to adjust to its new food. Day 1: Feed 75% of the current (old) food and mix in 25% of the new food in each serving to start the adjustment period for clean digestion. Day 2: Adjust to feeding 60% of the old food and mix in 40% of the new food in each serving. Day 3: Feed 50% of the old food, mixed with 50% of the new food per serving. Day 4: Feed 40% of the old food, mixed with 60% of the new food per serving. Day 5: Feed 25% of the old food, mixed with 75% of the new food per serving. Day 6: Feed 90-100% of the new food as you should be very close to a clean digestive transition period. Throughout this adjustment period, be sure to keep a close eye on your dog and make sure he or she is continuing to drink a normal amount of water, gas is low and that feces remain normal (sounds gross to look at the poop but it is important to keep an eye on your dog’s stool to make sure it is not too runny as this could raise concerns of diarrhea and dehydration). If you see a great deal of change in these areas, slow down the process and take more time to ease your dog into the new food. This slow process of changing food should alleviate the majority of issues normally associated with upset stomachs in dogs related to food changes. If the dog food transition is not working no matter how slow you go with the food change, consider going back (slowly) to the old food as your dog may be allergic to the new food. If more serious issues arise during this transition, consult your vet for more assistance. I’m considering properly changing my large four month old puppy’s diet from raw with added vitamins/supplements to a premium dry dog food brand like Natural Balance, Nutrisorce or Orijen for various reasons (mostly the cost)… does anyone have any opinion on this or how to do it correctly? Should I remove the supplements when slowely transitioning to dry food? Or will this affect her health negatively at this age? Any advice helps! Thanks! Our golden is a 10 months old female golden doodle. She has been on raw food diet only one brand of dray and wet food ( she did not like when we change her brand or type of meet she like lamb or some times beef only). We share some human food with her and since then she is not eating her own raw food. In fact she walked a way from it and hardly eat any of it. Her poop always been dark brown and solid. sometimes we see orange spots in her poop and some times very hard poop that is still dark almost black. What can we do to make her to eat her raw Stella and Chewy brand again or should we change the brand or food or?….? how much should she eat in a day? she is also low energy for her age is that because she is not eating enough? Please see your vet and/or refer to our dog poop color article. Good luck and hope your dog feels better soon! I recently decided to change the brand of dog food that I was giving my little guy. The problem was that he did not seem to take very to the change. In fact, he actually refused to eat it for a while. But I continued offering it and eventually he came around (I did provide the remainder of the old brand, but in limited quantities). After reading this article I understand what happened. Dogs are creatures of habit and routine. I should have realized this. At any rate, the author is totally correct that the best way to change dog food is by implementing the change gradually. Start by mixing in a little bit of the new food with the old. They will probably not even taste a difference. Start with something less than 25 percent of the new food, and then just adjust gradually. Change the mixture every couple of days and the dog should not even notice and definitely not rebel. This is a great method and I intend to try it the next time I am ready to make a change. Changing your dog's food may not seem like a big deal to some. I'll admit that I didn't think it was a big deal when I purchased my new puppy. I wanted to feed her something healthier and immediately switched her food, which was a disaster. The poor thing was having to go potty at least 8 times per day and her backside swelled. Next time, I will definitely listen to the rules for switching food. You really do need to add a little bit of the new food to the old food and gradually increase it to prevent your dog from getting sick. There would, of course, be exceptions to the rule. I would definitely consult my veterinarian if there was a problem with my pet's food that required immediate change, such as allergies or recalls. To me, this sounds like an extremely tricky area. However, pet owners must remember that you simply can't expect your dog to adjust to major changes the way a human would. Their digestive systems are not made to handle these kinds of changes. More importantly, switching your dog's diet could lead to allergies you didn't realize were present. Always consult your vet if you're unsure about changing your dog's food. Wow, I never put this much thought into whether or not to change my dog's food. She eats whatever I think is best for her. She has had food from many major brand names and a few off brands. When it comes to dry food, she has had a very big variety. I guess some dogs can get sick when you change their food, but I did not realize that it was this important to watch when you are changing your dog's diet. Actually, this article made me rethink my loose policy on her food. Maybe all of these changes do affect her. She is getting older, and I do not want her to go through unnecessary stress if she doesn't have to. My dog is such a tough little girl that I think that maybe even if she had symptoms, she would hide them from me. I love her for being so human, but I always want to know if she is okay. So now that I see that changing a dog's food can really affect them, I'm going to keep her with the same few dry foods from now on, and maybe I'll cook handmade wet food. 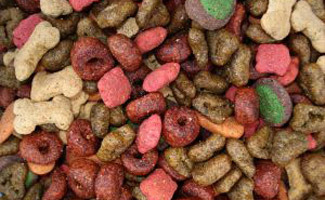 Many dog owners have decided that they want to make a change in their dog’s diet. Then, they go about implementing this change, only to be met with severe resistance from their beloved pet. It seems silly that a dog would not eat when their brand of dog food is changed, but this actually happens over and over. The problem is that dogs are really creatures of habit and routine. This includes their food. They become familiar with a certain type of food or brand and they know the smell and taste intimately. Even a simple change can often be met with a refusal to eat. The answer to this problem is to make changes very gradually. 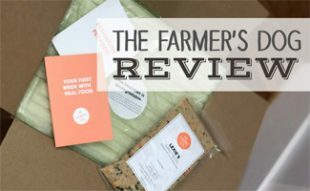 Instead of just totally switching their food to a new brand, have both brands on hand. At first, start by mixing in maybe just 10 percent of the new food. Then, in a day or two, try a mixture that is 25 percent new food and 75 percent old food. Keep this method going until after two weeks or so, your dog is eating the new brand straight. If you are going to change your dog's food, think about why you are making the change before you do it. Unlike you and I, dogs do not always like a variety in their menu. As someone else pointed out in the comments, they are creatures of habit. Just making the change is going to take some time and effort on your part. If you must do it, try to get the right food for your dog. Most of the time, people change dog foods based on money or health. As in, they buy whatever is one sale or they buy a specialty dog food because the dog needs it. If you have to buy a specialty dog food, check with a vet to make sure you are getting the right one. If you are looking to save money on dog food, try using coupons or buying in bulk. Dog food is usually much cheaper when you buy it in large quantities than if you just buy a small bag or can. Make sure you are buying the right food for your dog. Puppies need the nutrients in puppy foods, just like aging dogs and dogs with health issues need their own special dog food. As many dog owners already know, there pets are creatures of habit. Indeed, dogs thrive on having a regular routine. Normally, this is a good thing. However, there are times when you might want to make a change, like switching to a healthier brand (or type) of dog food. Unfortunately, in many cases, your dog will be resistant to make such a change. There is an easy way to go about making such a switch without causing any alarm in your pet. The key here is to approach everything very gradually. 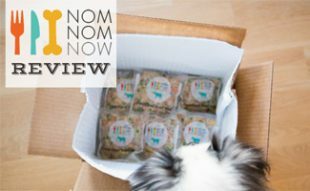 Instead of just one day putting out an entirely new type of food (which the dog can see looks and smells and tastes differently), try gradually combining the two brands. There are a number of formulas for doing this. Ultimately, I suppose it depends on how picky and observant your dog is. You may want to start with just adding in around 10 percent of the new food the first couple of days. Then try going up to 25 percent of the new food (and 75 percent of the old). Every few days, further adjust the percentages. I had to learn this lesson the hard way. I wanted to change my dog's food because I did not like the way his coat was looking. It seemed to me that his coat had lost some of its shine and the only thing I could think to do was to adjust his diet. To me, a shiny coat means that the dog is getting all he needs from his food. He obviously was not getting that, so I wanted to switch brands and styles of food. I did it overnight without slowly adjusting the amount of his old dog food with the amount of his new dog food. I paid for that and so did he. To start with, he did not even like his new food at all. So I put some water in it to make it more of a gravy kind of a texture. He seemed to like this better, but his digestive system rebelled. He was throwing up and had diarrhea for days. I actually had to go get some more of his old dog food and combine it with the new one. Now I am combining the two and slowly getting him to the point where he is only eating the new dog food, but I feel bad that I did not do this in the first place. It could have saved us both a lot of time and effort. Whenever I went to the grocery store in the past, I shopped for dog food like I would shop for my own self. Sometimes I would by the dog food that was on sale but I would did not only take price into consideration. 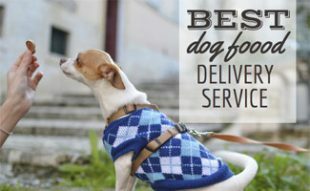 I wanted to get the best quality food for my dog that I could at the best price I could fit into my budget. However, what I also did that I now know was a mistake, was try to add variety to my dog's diet because I thought he would enjoy it more. My dog never showed any displeasure in the food that I bought him, but I thought it would just be a nice change of pace for him to try different things. Now that I think about it, dogs generally do not care about what they eat but the effect on his system was obviously damaging over time. Now that I know the importance of allowing him time to adjust to a new food, I will try to get him onto a good brand and stick with it. Anyone who owns dogs or has owned dogs in the past knows that they are creatures of habit. Almost every breed of dog enjoys doing pretty much the same types of things at the same time of the day. Many people are like this as well, but that is another story! When you have decided to change what your dog is eating, it must be approached with caution unless you want your dog to fight you over this. Instead of just all of a sudden taking away their favorite food, try to introduce this gradually. Start by maybe mixing in about 10 to 20 percent of the new food with the old brand. This way your dog may notice a slightly different taste, but they should be willing to accept this. Over the week or two, gradually increase the amount of the new brand in the food mixture. After some time, the old brand can safely be entirely eliminated and then the goal is achieved. Best of all, it was done without a pitched battle. My dog and my cats have issues. They were all gotten around the same time and they have developed some rather strange habits. Or, at least they are strange to the average viewer. For one thing, they cuddle each other and all sleep together. One of the other oddities is that the cats prefer the dog food and the dog prefers the cat food. I thought it was a bit odd, but was not really worried about it until reading that cat food has fats in it that is not good for dogs. I know he still gets into the cat food, but I have tried to develop a pattern that limits his ability to do this. I put the cats on the front porch with their food and then I shut the inside door. Then I put the dog food in the kitchen and he eats his while the cats are on the porch eating theirs. It works pretty well, but I know he still gets into the cat food bag if he can. My next step is to get a sealed bin for the cat food as well as the dog food. I do not really know if there is any danger in my dog eating cat food or my cat eating dog food, but I am not willing to take a chance. If you have been (or are) considering making a change with the food that your dog eats, then I think you will the information and advice contained in this article quite helpful. It is always good to be careful when attempting to make a change with your dog. We need to remember that dogs are complicated animals and they like routine. Also, their digestive systems are very sensitive at times, so when trying to change over to a new type of food, it is best to make this change very gradually. The author suggests making this change over the course of about five or six days. Start by mixing in 25 percent of the new food with 75 percent of the old food. Each day decrease the amount of the old food and increase the amount of the new. In this way, your dog will adjust to the change in diet gradually. 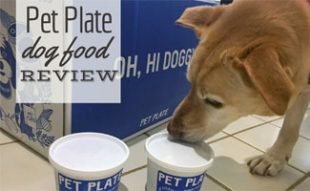 You may even want to take things more slowly, especially if your dog is a very picky eater or has had other digestive issues in the past. I am so glad you wrote this. When I was growing up we always had plenty of dog around us. Maybe that's why these methods seem like common sense to me. I don't know how anyone could be confused by this. We feed our dogs the same thing every single day at every meal. I can't even imagine how boring that must get and I am actually looking into changing things up a bit in our routine to modify that. Yes, we love our dog enough to want him to even be happy at meal time. If you ate the same thing every day and someone gave you something completely new out of the blue, don't you think your body would respond to that? You might even get sick from it. That doesn't mean there is anything wrong with your or the food. It's just that humans and dogs both have bodies that develop habits. They become comfortable with one thing and any change to that is bound to cause some interruption. Like I said, it really is just simple common sense.